1700 Pennsylvania Avenue. , NW Suite 400 Washington, DC 20006 U.S.A.
Zinda Magazine is published every Wednesday & Saturday. To register for your free Zinda notifications enter your email address in the field above and click 'Sign Up'. Why are Chaldean Clergies Undermining the future...? Do We Really Need SBS? We are now in the middle of a full-blown Jihad, that is to say we have against us the fiercest prejudices of a people in a primeval state of civilization. The carnage in Iraq continues--much as Bell described 85 years ago--despite Saddam Hussein's removal, and capture, along with many of his former high ranking administrators. And this bloody contemporary "insurgency" is also a jihad-waged by jihadists of two ilks: Al Qaeda types (like Zarqawi) united with so-called "secular" Baathist jihadists. This is hardly surprising as Baathist Arabism is deeply rooted in Islam, and bears no resemblance to Western conceptions of secularism. (Other than perhaps Saddam Hussein’s expensive “secular” wardrobe—as Fouad Ajami once uttered on live television, doing his best Saddam impersonation, to a stunned Dan Rather: “You wear pants…I wear pants!”). Indeed, the very founder of the Baath Party, Michel Aflaq, was a Greek Orthodox Christian who converted to Islam, and declared emphatically, “Islam is to Arabism what bones are to the flesh.” (For an enlightening discussion of the Baathism is secularism canard, see this blog by Professor Frank Salameh , Monday May, 9, 2005, “The Myth of Arab Nationalism”). The Baathists just added another incendiary element to Iraq’s long brewing cauldron of sectarian strife, which was so apparent during the British attempt at statecraft during the 1920s, through early 1930s. It is edifying to review that experience through the writings, and unfulfilled hopes of the British diplomat, Gertrude Bell. One wishes that a careful reading and thoughtful discussion of Bell’s detailed analyses were a required exercise for all our policymaking elites and chattering classes. Regardless, Bell’s narrative sounds eerily familiar as the cast of characters—from the 1920s, versus the present—seems quite literally frozen in time: Shi’ites led by the very same Sadr family; irredentist Sunnis educated in the Wahhabi tradition; Kurdish “separatists”; and the indigenous, pre-Islamic community of Assyrian Christians, soon to be preyed upon, primarily by their traditional Kurdish Muslim enemies, joined by the other Muslim communities. Gertrude Bell (1868-1926) was a brilliant archaeologist and explorer, who traveled extensively in the Middle East, later becoming a British intelligence officer and diplomat in Egypt and Mesopotamia. Due to her unparalleled knowledge of the Middle East, Bell was made part of the delegation to the Paris Conference of 1919, and worked subsequently with British officials attempting to create the modern state of Iraq from three disparate ethnic and religious vilayets (i.e., Mosul, Baghdad, and Basra) of the collapsed Ottoman Empire. Bell, perhaps the most important female Civil Servant in the entire British Empire during this period, also persuaded Winston Churchill to appoint Faisal, the recently deposed King of Syria, as the first King of Iraq. Her letters written from Baghdad, excerpted below, were originally published in a compilation, “The Letters of Gertrude Bell”, [Volume II, New York, 1927]. Bell’s brief, worried comments about the Assyrians foreshadowed their terrible plight, within seven years of her death. In the last years of her life, Gertrude Bell created, and was the first Director of the Baghdad Archaeological Museum; she died in 1926, and may have committed suicide. Bell’s utopian dreams for Iraq, what the historian Elie Kedourie termed her “…fond foolishness…thinking to stand godmother to a new Abbasid Empire...”, went unfulfilled. Indeed, one of her worst fears was realized: Muslim violence directed against the Assyrian Christian minority. The inoffensive population was indiscriminately massacred, men, women and children alike, with rifle, revolver and machine gun fire. In one room alone, eighty-one men from the Baz tribe, who had taken shelter… were barbarously massacred. Priests were tortured and their bodies mutilated. Those who showed their Iraqi nationality papers were the first to be shot. Girls were raped and women violated and made to march naked before the Arab army commander. Holy books were used as fuel for burning girls. Children were run over by military cars. Pregnant women were bayoneted. Children were flung in the air and pierced on to the points of bayonets. Those who survived in the other villages were now exposed day and night to constant raids and acts of violence. Forced conversion to Islam of men and women was the next process. Refusal was met with death. Sixty five out of ninety five Assyrian villages and settlements were either sacked, destroyed or burnt to the ground. Even the settlements which existed from the year 1921 and who had no connection in any way with the trouble were wrecked and all property looted by Iraq army and tribesmen. Before the end of August, 1933, 3000 Assyrians were murdered, and thousands more displaced. Bell's letters, specifically, her complaints about Shi'ite fanaticism, including the very same Sadr family lineage that Coalition Forces are dealing with today, the Sunni fanaticism of clerics trained in Saudi Arabia, Kurdish "separatism", and the vulnerability of the Assyrian Christian minority - reveal an unchanging dynamic - confirmed by the current experience following Saddam Hussein’s removal. Thus, over eight decades later, Gertrude Bell’s elegant prose still reveals a keen understanding of the irredentist forces which continue to grip Iraq, shaping present events. …And this country, which way will it go with all these agents of unrest to tempt it? I pray that the people at home may be rightly guided and realize that the only chance here is to recognize political ambitions from the first, not to try to squeeze the Arabs into our mold and have our hands forced in a year -- who knows? Perhaps less, the world is moving so fast -- with the result that the chaos to north and east overwhelms Mesopotamia also. It's a problem here how to get into touch with the Shiahs, not the tribal people in the country; we're on intimate terms with all of them, but the grimly devout citizens of the holy towns and more especially the leaders of religious opinion, the Mujtahids, who can loose and bind with a word by authority which rests on an intimate acquaintance with accumulated knowledge entirely irrelevant to human affairs and worthless in any branch of human activity. There they sit in an atmosphere which reeks of antiquity and is so thick with the dust of ages that you can't see through it -- nor can they. And for the most part they are very hostile to us, a feeling we can't alter…There's a group of these worthies in Kadhimain, the holy city, 8 miles from Baghdad, bitterly pan-Islamic, anti-British…Chief among them are a family called Sadr, possibly more distinguished for religious learning than any other family in the whole Shiah world….I went yesterday [to visit them] accompanied by an advanced Shiah of Baghdad whom I knew well. Meantime our Nestorians (Assyrians) are going back to their country which is all in Kurdish hands and far from anywhere we can help them. 6000 left last week. I look upon it with the gravest apprehension. I think the men ought to have been sent first to prepare the way and I fear there will be some awful disaster. If there is, we can't acquit our own conscience. We have had a stormy week. The Nationalist propaganda increases. There are constant meetings in mosques where the mental temperature rises a great deal above 113. The extremists are out for independence, without a mandate. They play for all they are worth on the passions of the mob and what with the Unity of Islam and the Rights of the Arab Race they make a fine figure. They have created a reign of terror; if anyone says boo in the bazaar it shuts like an oyster. There has been practically no business done for the last fortnight…. We are now in the middle of a full-blown Jihad, that is to say we have against us the fiercest prejudices of a people in a primeval state of civilization. Which means that it's no longer a question of reason….The unthinking people, who form the great mass of the world, follow suit in a blind revolt against the accepted order. They don't now how to substitute anything better, but it's clear that few things can be worse. We're near to a complete collapse of society -- the end of the Roman empire is a very close historical parallel. We've practically come to the collapse of society here and there's little on which you can depend for its reconstruction. All the Nestorians (Assyrians) have been moved from Ba'qubah to a camp under the hills 16 miles or so from Mosul with the idea of getting them back to their own country. But it's now far too late in the year to think of their marching through the hills and as far as I can learn the local Kurds are all determined to oppose them to the death - not being wishful to give up their property which they have meantime annexed. It's not a cheerful prospect. Oh, if we can pull this thing off; rope together the young hotheads and the Shiah obscurantists, and enthusiasts like Jafar, polished old statesmen like Sasun, and scholars like Shukri -- if we can make them work together and find their own salvation for themselves, what a fine thing it would be. I see visions and dream dreams…. We can't continue direct British control though the country would be better governed by it, but it's rather a comic position to be telling people over and over again that whether they like it or not they must have Arab not British Government…. We have had a terrific week but we've got our King (Faisal) crowned and Sir Percy and I agree that we're now half seas over, the remaining half is the Congress and the Organic Law…It was an amazing thing to see all Iraq, from North to South gathered together. It is the first time it has happened in history…. Author's Note : I would like to thank Hugh Fitzgerald for kindly bringing to my attention “The Letters of Gertrude Bell”, [Volume II, New York, 1927], and also providing me with all the specific excerpts I have used save for the two letters regarding the Nestorians (Assyrians), i.e., the letters of May 20 and October 10. Zinda: Dr. Bostom lives in Providence, Rhode Island and is an Associate Professor of Medicine in the Division of Renal Diseases of Rhode Island Hospital. He has published articles and commentary on Islam in the Washington Times, National Review, Revue Politique, FrontPage Magazine.com and other print and online publications. This article was published in the American Thinker on 8 June 2005. He is the author of the forthcoming The Legacy of Jihad, from Prometheus Books (2005). To pre-order your copy of Dr. Bostom's book click here. YOU'VE WORKED HARD & IT'S TIME YOU BRAG ABOUT YOURSELF NOW! 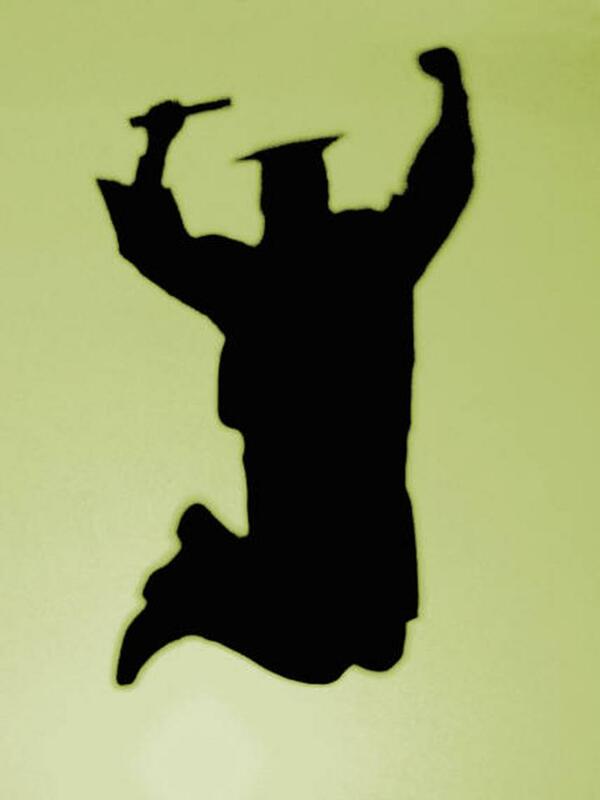 Deadline to appear in Zinda Magazine's Annual Graduating Assyrian Students List is 17 June. Send your full name, school name, major, degree earned, accomplishments, photos, and comments to class2005@zindamagazine.com. Assyrian students from around the world are welcome to submit their information. A campaign to promote writing a permanent democratic constitution in Iraq, laying the basis for a modern Iraqi state based on the rule of law and institutions, was launched at a meeting attended by about 120 Iraqi democrats earlier this month at the Kufa Gallery in London. Establishing a democratic, pluralistic, parliamentary and federal republic. Adherence to the principle of citizenship and establishing a state of law, institutions and justice, and ensuring political pluralism and peaceful transfer of power. Separation between executive, legislative and judicial powers. Separation between religion and state: respecting the Islamic identity of the majority of Iraqi people and ensuring the rights of other religions and sects. Adopting the International Declaration of Human Rights, stressing on civil and political freedoms, the freedom of expression, demonstration and organization (as stipulated in the Transitional Administrative Law – the interim constitution). Equality between women and men, abiding by all international covenants concerning the rights of women and children. Prohibiting all forms of discrimination on the basis of belief, race, gender, color, or ethnic and religious affiliation. Ensuring the rights of nationalities, religions and sects. Securing federalism for Iraqi Kurdistan, and national and cultural rights for all the constituents of the Iraqi people, including Turkomans, Chaldeo-Assyrians, Faili Kurds, Armenians, Azedians, Sabians, Shabak, Christians, Jews. Adopting a decentralized form of administration for the provinces and their relationship with the central government. Ensuring social and economic rights for all citizens: the right to education, health and work, and ensuring social security, and complying with relevant international covenants. Ensuring cultural freedom and respect for ideological, political and national pluralism in our national culture. Subjugating security forces to elected constitutional institutions and their allegiance to the homeland. Developing an effective constitutional mechanism for control over the natural resources, especially the oil wealth, to ensure that it is used to serve the interests of the people and development of national economy, and prevent the plunder and manipulation of this wealth. The meeting also launched a campaign to collect 1,000 signatures on a memorandum calling for adopting the above-stated principles for writing the permanent constitution. The memorandum will be presented to the National Assembly committee tasked with drafting the constitution, as well as the Iraqi President, Prime Minister and Chairman of National Assembly. The meeting set up a committee, of 18 democrats and activists, to implement the proposed plan of action during the next few weeks. The Committee includes: Salam Ali, Dr. Najm Ghulam, Ansam al-Jarrah, Dr. Reiadh al-Zuheiry, Samir Tabla, Souad al-Jazairy, Dr. Sabah Jassem, Areej Sultan, Dr. Sabah al-Sudani, Kawa Bisarani, Nadia Haider, Amanuel Yaqoub, Dr. Abdul Hassan, Dr. Sabah Mar’I, Dr. Leonard Jacob, Dr. Kamel Hassan, Ali al-Shawket, Manar Sabri. The program of future activities includes organizing specialized seminars, talks and meetings, for the purpose of discussing the principles of the permanent constitution, based on Iraqi reality and making use of democratic experiences of other countries and peoples. In addition to an active media campaign, the “Iraqi Committee for Democratic Constitution” will encourage writings about the constitution, and issue a bulletin for relevant studies and research material. Williams College is located in the center of Williamstown, along Route 2 (Main Street), next to the junction of Routes 2 and 7 in the northwest corner of Massachusetts. (ZNDA: New York) Roughly half of the 15,000 items looted from the National Museum of Iraq in 2003 have been recovered, said the Assyran archaeologist and museum of Baghdad director, Dr. Donny George, who thanked American officials for assistance in restoring the building. Dr. George said law-enforcement and customs officials in the United States had intercepted at least 1,000 artifacts stolen from the museum in the chaotic days after the fall of Baghdad. Another 3,000 or so artifacts have been found and secured in Jordan, Syria, Italy and other nations, said the museum director, an Iraqi-born Christian. However, he said, the governments of Iran and Turkey -- both neighbors with porous land borders -- have failed to respond to legal and diplomatic inquiries. Many stolen Iraqi artifacts or their counterfeits still are advertised on EBay and change hands through channels known to collectors. U.S. law-enforcement and customs agencies say they are on the lookout for antiquities but cannot provide current information on interceptions or prosecutions. U.S. troops, journalists and contractors returning from Iraq are among those who have been caught with forbidden souvenirs -- mostly paintings and small seals and cylinders that can be carved exquisitely and hidden easily. "We are grateful to our friends and dear brothers" for intercepting the artifacts, Dr. George said last Tuesday evening during a slide presentation to the National Arts Club in New York. Much of Baghdad was plunged into chaos after U.S. troops captured the capital on April 9, 2003. As Iraqi troops fled, looters and professional thieves quickly overran the museum, which was left unguarded. Dr. George -- like many Iraqis and much of the American press -- blamed U.S. military planners at the time for ignoring the history and culture of the country they had come to liberate. But the museum director was much more conciliatory at the National Arts Club, where he told a well-heeled audience that he was "satisfied" with the level of financial and technical support to rebuild the shattered museum. Asked whether the Pentagon had offered an apology for failing to guard the museum, Dr. George said U.S. assistance allowed his staff to rebuild the museum's offices and galleries, install new security systems and create computer networks where there had been none. "I will take that as an apology," he said. Dr. George, the director of research for the State Board of Antiquities under Saddam Hussein, was installed as director of the National Museum of Iraq by the U.S.-run Coalition Provisional Authority that governed the country from early 2003 until last summer. He remained in that post under the interim government and has been retained by the transitional government of Prime Minister Ibrahim al-Jaafari. He also has the support of the international antiquities specialists. "He's a real professional, one of the archaeologists in the Middle East," said McGuire Gibson, a professor of Mesopotamian archaeology at the University of Chicago's Oriental Institute who visited Iraq's museum and archaeological sites in 2003 for the United Nations Educational, Scientific and Cultural Organization and the National Geographic Society. Dr. George said much of the thievery was done by insiders, but told The Washington Times this week that Iraqi and museum authorities have made little effort to find the culprits. "I am asking [U.S. investigators] to tell me who they have caught," he said with a shrug. The museum is trying to establish a database of the looted artifacts, in part to make them more difficult to sell. The FBI, Interpol and many museums also have put up images of the missing artifacts. In the meantime, Dr. George said, he has asked governments to document and hold on to what they intercept until Iraq is more stable. Thousands of missing pieces are presumed to be inside Iraq, where a corps of mostly untrained volunteers has been scouring markets in search of the missing antiquities. The museum also has been fortified with tall concrete walls and welded gates that enclose the galleries, but Mr. George said it is not safe to reopen the doors to visitors. (ZNDA: New York) The Director General of the Iraq Museum, Baghdad, Dr. Donny George, spoke about the April 2003 looting, the recovery of antiquities and the museum’s restoration initiatives at a lecture hosted by the Field Museum. “I saw everything as an eyewitness,” he said. George is the Director-General of Research and Studies in the State Board of Antiquities and Heritage, Baghdad. He participated in the Nineveh excavation project, as well as the Babylon restoration. His association with the museum began in 1976 and he became the museum’s director in 2003. Dr. George is Assyrian. The Iraq Museum is “the only museum in the world that has history and culture of mankind in one spot,” George explained. 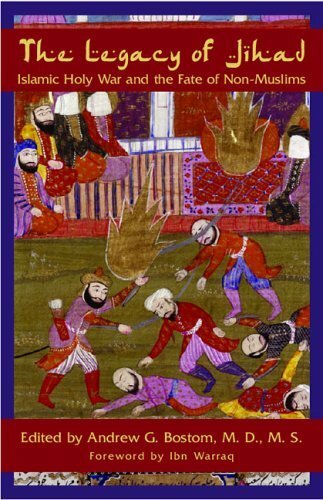 After the museum looting, over 20 international archaeologists wrote a collection of essays for the book, “The Looting of the Iraq Museum, Baghdad – The Lost Legacy of Ancient Mesopotamia,” filled with 190 color illustrations. The book reconstructs the museum’s collection and George wrote the forward. The inside cover of the book explains: “Iraq is a country of firsts: the earliest villages, cities, writing, poetry, epic literature, temples, codified religion, armies, warfare, world economy, and empire.” Hence, Iraq is the Cradle of Civilization. According to the book’s front cover, a portion of the royalties from the sale of the book will be donated to the Iraqi State Board of Antiquities and Heritage. In April 2003, looters plundered over 15,000 antiquities from the Iraq Museum and 5,000 of them were most precious objects, such as jewelry and figurines. Within two years looters unearthed over 8,000 artifacts from the country’s 12,000 archaeological sites. The looting of archaeological sites is an ongoing problem, especially in Southern Iraq. After his slide presentation, George showed an aerial photo of Umma - an archaeological site of eight square kilometers. The landscape contained thousands of pits. “These are from people digging there for antiquities,” he added. Although the new police system has recruited 1,700 people, they lack communication systems and cars. “There is a market for this material,” George said. “There is a demand.” He explained that there were three kinds of looters in the museum: people who took computers and TVs from the administrative area; people who had a good knowledge of antiquities; and finally, people who looted the storeroom, which contained boxes of cylinder seals and pottery. The second category of looters knew which statues were authentic and which statues were replicas because they left some of the reproductions alone. Based on the museum team’s findings, if a looter came for a specific antiquity in mind and he found the showcase empty, he shattered it. Perhaps, out of anger. “We believe it was planned…to get these important pieces…” George added. Looters smashed numerous antiquities including a terra-cotta lion from Shaduppum / Tel Harmal, from the early second millennium B.C. Moreover, they beheaded statues, such as the Statue from Hatra. The body is on a rectangular pedestal, but a deep crack runs diagonal above the toes of the right foot. Finally, looters knocked statues into pieces, including a statue of King Nebuchadnezzar from the Assyrian Period. A photo shows the statue strewn across the museum floor - stone bits in between five broken pieces. When the attacks on Iraq began, George could not return home for three days. On April 8, 2003 around 5 A.M. rows of shooting tanks surrounded the area. By 9:30 A.M. there were three people left in the museum and George was one of them. Although they prepared to descend into the museum’s storerooms where it was safer, Iraqi militia were on the museum’s front lawn. After the three men locked the doors to the museum they crossed the Tigris River with the intention of coming back. By 3 P.M., they tried to cross the bridge but the shooting was so bad that people could not cross it safely. Helicopter gun ships flew above the museum. In the interim, the museum team established headquarters at a hotel. While listening to the news, George heard about the looting of the museum. During his lecture, George paused for a moment. He looked at the podium and he continued. On Sunday, April 13, George and his colleagues met with U.S. officers, asking that the museum be protected. “Is there anything left?” the officer asked. Three days later, on April 16, around 7:30 A.M., tanks rolled into the area and surrounded the museum. What happened, over the course of two days, inside the museum that housed antiquities covering 10,000 years of human history? The looters entered the building through high glass windows surrounded by fences. George and his colleagues found glasscutters, so it was clear that people had intentions of looting the museum. They smashed holes into doors and they trashed files that contained archival documents, negatives, slides, and photos. The museum’s corridors looked like deserted areas. From the Islamic galleries they pillaged wall paintings, but smashed other paintings. They took wooden door panels from Samarra, cuneiform tablets and important ivory. The cylinder and stamp seal collection – 5,800 objects total – pilfered by the looters. Another major problem was flooding. Whenever there is any impact to the Central Bank, water flows. As a result, groundwater, insects, fungus and wet, wrapping material damaged the artifacts housed in the Central Bank’s storage rooms. One example is the Mona Lisa of Nimrud, from the 9th – 8th century B.C., which suffered severe head damage. Despite the rampant looting some Iraqis recovered stolen antiquities and brought them back to the museum. With Colonel Matthew Bogdanos in charge of the recovery, they established a “no questions asked” policy for people who returned objects. George explained that the artist used the wax technique for this statue, but looters took it then greased it and then they suspended it in a septic tank. Upon its return to the museum, it was still covered in grease. George showed the audience photos of the statue before and after archaeologists removed the oily lubricant. From March through May 2005, an Iraqi youth organization called the Protectors of Antiquities traveled the Iraq provinces. They gathered 2,000 looted objects, including 400 clay tablets. Some of these antiquities were from the Iraq Museum. In June 2003, several Iraqi men returned a piece known as the Warka Vase. According to Diana McDonald’s essay, “The Warka Vase,” the 4,300-year-old alabaster antiquity “…is one of the most important objects in the Iraq Museum because it is one of the first illustrations of the ritual and religious practices that were the basis of Mesopotamian society, and come from the most important city in Mesopotamia in the fourth millennium B.C. – Uruk, the modern Warka and biblical Erech.” Looters damaged part of the pictorial designs near the top of the vase and the bottom of its cylindrical base. Basically, how can people understand human development and communication if they lose historical objects? Through the United Nations Educational, Scientific, and Cultural Organization (UNESCO), Interpol and ICOM, international customs agencies seized 300 objects in Syria, 1,300 most precious objects in Jordan and 300 tablets in Genoa, Italy. Iraq’s Ministry of Culture seeks cooperation from Turkey and Iran in the location of smuggled antiquities and they await feedback from these countries. During wartime, the loss of antiquities is the occupying power’s responsibility. Artifacts that sustained damage from flooding, looters’ gashes and blows need restoration. U.S. tanks blasted a deep hole into the “Assyrian Gate” of the Iraq Museum, so it needs rehabilitation also. “We need to arrange these buildings in a way that these buildings will defend themselves,” George said. The museum has twenty galleries and security implementation is extensive. At present, there is still shooting on Haifa Street, located behind the museum. From time to time, they shoot at the museum guards. The museum remains closed to the public. “We have to think of other ways to protect the antiquities in a way that can be most effective,” he said. Together with the World Monuments Fund, UNESCO and the Getty Center, George works to train Iraqis in conservation and restoration. In collaboration with Iraq’s Ministry of Education, antiquity conservation involves educational programs for school-age youth, which will teach them how to protect their archaeological and cultural heritage. The Packard Foundation donated computer hardware to the museum used for the virtual construction of the museum’s database; and the U.S. State Department provided funding for the restoration project. Current museum projects include research potential, collection catalogues and security, as well as display design. At present, more than half of the looted antiquities, which spanned 10,000 years of humankind, are still missing. To Register & For More Information Please Click the Image Above. (ZNDA: Detroit) The way Tony Yousif sees it, the deportation order the U.S. government is trying to impose on him is the equivalent of a death sentence. "If I smell like I lived here in America, I’m dead. No question about it," the Iraq native says. Yousif, 30, is among about 600 Iraqi Christians living in the Detroit area who are facing deportation to their war-torn homeland. Yousif came to this country five years ago seeking refuge from the dictatorship of Saddam Hussein. By that point, Iraq’s minority Christian population — Chaldeans and Assyrians who speak the ancient Aramaic language — and other non-Arabs had suffered for decades under a program known as "Arabization." Many were forced from their homes and relocated; others had to change their names as part of an attempt to undermine their cultural identity. Yousif says he sustained an even harsher fate, claiming he was tortured by government agents after initially refusing to join Saddam’s ruling Ba’ath Party. He fled shortly afterward, and was smuggled through Turkey and South America before entering this country illegally in 2000. He’s been seeking asylum here ever since. Now, with Hussein sitting in a jail cell and a new government elected, the U.S. Department of Homeland Security is trying to deport Yousif and other Iraqi Christians seeking asylum. There are no figures indicating how many such people nationwide are being affected. The tragic irony of all this, according to Yousif and others, is that conditions for Christians in Iraq are even more treacherous than those that compelled these refugees to leave during Saddam’s long reign of terror. Daily news stories reveal an Iraq in chaos, with Muslim insurgents producing a steady stream of suicide bombings and other attacks. In the midst of this carnage, Iraq’s Christians say they are particularly at risk. "The Iraqi Christian community has been under attack for the last two years," says Dr. Eden Naby, an adviser to the Assyrian Academic Society in Chicago. "They are seen as automatic allies of the U.S.-led coalition. Anytime there is an insurgency — especially an Islamic insurgency — the easy targets, when there aren’t Westerners, are Christians." Which is why those like Yousif, now being threatened with deportation, are in such a state of high anxiety. "These people are sitting on pins and needles," says Steven Garmo, of the Southfield-based Chaldean Federation of America. "Every day they wonder when immigration will come and pick them up." None of these asylum-seekers has been deported yet, U.S. officials say. But that’s not because of a lack of effort. There are five categories that qualify someone for asylum, says Rob Baker, field office director for Detention and Removal Operations for Immigration Customs and Enforcement in Detroit. "Persecution based on race, religion, political activity, membership in a social group and nationality," Baker says. "It doesn’t have to be at the hands of the government." To this point, though, neither the Department of Homeland Security, which administers immigration policy, nor the judges evaluating asylum claims have recognized Iraqi Christians as being especially in danger. Those targeted for deportation have been wending their way through the legal process, climbing the appellate ladder as they battle to stay in America. But for many, the final rung is fast approaching, and the U.S. government is showing no sympathy for their plight. "We’re just enforcing the law as it’s written," Baker says. Iraqi Christians like Yousif, a casino dealer who lives in Harrison Township, are at a unique disadvantage, says Bill Frelick, refugee program director for Amnesty International. "Because the system works so slowly, you have people who initiated their asylum claims while Saddam Hussein was still in power," Frelick says. "Now the U.S. is in the position where it can argue there is a change in country conditions and these people can be sent back." It is an odd position for the U.S. government to hold since conditions are so perilous in Iraq. As Frelick says, "It’s still too dangerous to assess the situation and corroborate what’s going on." However, those familiar with the situation in Iraq say Christians there are being targeted for kidnappings and murder. Their homes, businesses and churches are being bombed, ransacked and occupied. Assassination and attacks "are a fact of life for these people," says Edward Odisho, a professor of linguistics at Northeastern Illinois University and a consultant on Chaldo-Assyrian affairs for the U.S. State Department. "The threat is not coming from a highly organized political party. It’s coming from a total lack of security. Thousands of Christians have fled since Saddam fell." No one knows for certain how many of Iraq’s 800,000 Christians have left that country since the U.S.-led coalition invaded two years ago. Just last year, however, following a string of church bombings in October, more than 40,000 Iraqi Christians fled to Syria, says Shamiran Mako, an analyst with the Council for Assyrian Resources and Development in Toronto. Among those who’ve fled are Yousif’s mother, brother and two sisters, who escaped to Syria. They left after the security situation in their predominantly Christian neighborhood in Baghdad became intolerable. The final straw came when Islamic militants firebombed a neighbor’s house. Like other Iraqi Christians trying to escape the persecution, their application for asylum in the United States has been denied. The plight of his family produces even more stress than the prospect of his own deportation, says Yousif, who dreads the phone calls attempting to explain to his relatives why they are not being allowed into this country. "I’m not so much worried about me so much as for my family," Yousif says. "Whenever they call, they keep asking if there’s something I can do. I can only talk about the situation to my brother. I’m afraid I’ll have to hear my mother cry." Robert Dekelaita, a Chicago immigration attorney who represents Chaldo-Assyrians in Michigan and Illinois, sees politics as the reason these asylum requests are being denied. "It seems to be the willingness for people to say, ‘Look, if it’s good enough for the U.S. soldiers, it’s good enough for you.’ And that’s absurd," Dekelaita says. Rhonda Shore, a spokeswoman for the Bureau of Near Eastern Affairs at the U.S. State Department, says America is working closely with Iraq’s transitional government to ensure a better future for Chaldo-Assyrians in Iraq. "Iraqi community leaders have called for a government that respects the rights of all its citizens; this respect should include a guarantee of freedom of religion for all Iraqis, including non-Muslims," she says. "The U.S. government does not provide assistance to particular religious groupings. However, it is our understanding that the Chaldo-Assyrian community has benefited from approximately $33 million in assistance programs to their communities." But that aid provides little comfort to asylum-seekers such as Fahrida Hirmiz. Hirmiz, 78, first tried to flee Iraq in 1996 when her son, working as a sentry for the U.S. military in the northern part of the country, was evacuated. That effort was thwarted, however, and it was not until 2002 that she was able to slip across the Iraqi border into Jordan. Once there, a group of fellow Iraqi Christians helped her obtain a tourist visa and a plane ticket to Detroit. Since then she’s been living in Dearborn with her son, Eliya Nissan. Hirmiz, who suffered a stroke several years ago, doesn’t have to look far to provide an example of how dangerous life is back in Iraq for her fellow Christians. In June last year, she says, her niece and uncle, along with five other Chaldeans contracted by the military to provide food and laundry services for U.S. troops, were gunned down by insurgents. None survived. Last year an immigration judge ruled that, while Iraq "is a dangerous place," Hirmiz could not prove that she would be singled out for reprisal because of her religion. Her case is now pending before the Board of Immigration Appeals in Falls Church, Va. That board is her last hope of staying in this country. If her appeal is denied, she will be placed under final order of deportation and returned to Iraq. "The Bush administration has not acknowledged there’s a problem," immigration attorney Dekelaita says. "And I’m afraid it’s not going to do so until it’s too late." For Hirmiz, the prospect is chilling. "If they send me back to Iraq, I’ll be executed," she says, dabbing tears from her eyes with a folded tissue. Along with this fear, however, is her faith. "I believe in the power of prayers," she says, speaking through an interpreter. "I have faith in God. God will protect me." (ZNDA: Istanbul) An Islamic court in Iran acquitted Rev. Hamid Pourmand, a former army colonel, who was charged with apostasy and proselytizing Christianity, declaring, “Under sharia [Islamic law], there are no charges against you." Rev. Pourmand's wife is Assyrian. During a May 28 court hearing in the southern port city of Bandar-i Bushehr, Pourmand’s judge declared he was acquitting Pourmand, a former Muslim who converted to Christianity 25 years ago, because he had “done nothing wrong” according to Islamic law. Pourmand’s surprise acquittal in a single hearing was reported May 29 by the Farsi-language ISNA news agency, quoting the jailed Christian’s lawyer as its source. Rev. 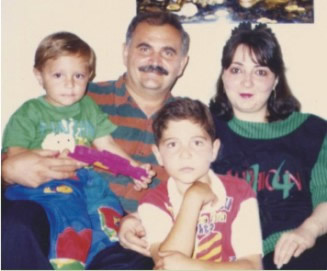 Hamid Pourmand and his Assyrian wife, Arlet, and two sons, Immanuel & David. Photo taken before his arrest last September. Even so, the acquitted pastor remains imprisoned, serving out a three-year jail sentence for a separate military court conviction also linked to his religious conversion. Pourmand, 47, was arrested last September by the Iranian security police while attending a church conference near Tehran. An army colonel, he also was serving as lay pastor for an Assemblies of God congregation in Bandar-i Bushehr. After five months of interrogation in strict solitary confinement, Pourmand was arraigned in February before a military court, accused of “deceiving the Iranian armed forces” by not reporting his conversion to Christianity. Despite what Compass described as “clear-cut evidence to the contrary,” he was ruled guilty, dishonorably discharged and given the maximum three-year prison sentence. After spending the next two months in a group cell at Tehran’s Evin Prison, Pourmand was transferred to a prison in Bandar-i Bushehr May 16 to stand trial before an Islamic court on separate apostasy and proselytizing charges. For the past nine months, the lay pastor has been subjected to repeated pressures to recant his Christian faith and return to Islam in order to escape execution for apostasy, as required under the theocratic laws of Iran. Pourmand’s lawyer has appealed the military court conviction on the basis of written documents signed by the former army colonel’s superiors proving that they knew he had become a Christian. The military tribunal which convicted Pourmand in February had rejected the documents as falsified. Commenting on his two weeks of confinement in Bandar-i Bushehr, Pourmand reportedly confirmed he had been jailed there with common criminals, including gangsters, murderers and drug dealers. “But now I’m back with the so-called ‘spies’ at Evin,” he joked after arriving back in Tehran May 29. Since February, the lay pastor had shared a group cell with journalist Akbar Ganji and other prominent political dissidents jailed at Evin Prison for expressing their pro-reform views. U.S. and European governments have urged Tehran repeatedly to set free the journalist and other known prisoners of conscience, including Pourmand. Over the weekend, unprecedented protests continued in front of the Iranian Parliament building, where students and civic leaders staged sit-ins and raised placards and banners demanding the release of Ganji, now seriously ill after five years in prison. On May 30, 10 days into a hunger strike, Ganji yielded to the advice of his lawyer, Nobel peace prize laureate Shirin Edabi, accepting emergency medical leave from prison to receive hospital treatment. Pourmand and his wife Arlet have two teenage sons, Immanuel and David. I commend you for a profound and well balanced editorial in your June 1st, 2005 issue. However, I don’t quite agree with the premise of your piece as I am not so sure that Mar Dinkha has remained detached from Assyrian politics. In reality, I see the two most political acts in recent history to have been undertaken by Mar Dinkha himself. Namely, the addition of the name Assyrian to the Church of the East, while at the same time abandoning Assyria and moving the Patriarchate out of the East. Both of these steps have quite negatively impacted both his Church and our national affairs. Mar Dinkha is the only Eastern Patriarch who has abandoned the East and turned his Church into the Assyrian Church of the West (as the captain of his church, I would have expected Mar Dinkha to be the last Assyrian to abandon Bet-Nahrain). As a result, the vast majority of his flock no longer lives in Assyria. Moreover, monopolizing the Assyrian name by his Church has reduced our national name to an ecclesiastical one, and has alienated the other Assyrian churches (namely the Chaldean and Syriac Orthodox) from their Assyrian identity. This has worked against the long and hard-fought legacy of nationalists from all our different Churches who have worked so hard to unify our nation under one Assyrian name. I for one rather see Assyria in deeds not in words. 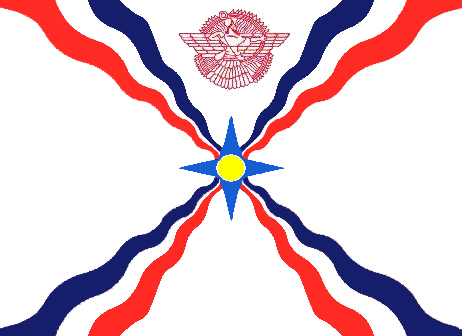 The Apostolic Catholic Church of the East, before Mar Dinkha, did not carry the Assyrian name. But it always held steadfast to its Assyrian identity, often at great expense. Never for one day did the Patriarch abandon his people in his Homeland. I for one would like to see a Patriarch who is actively engaged in the lives of his flock and all Assyrians in general, especially the ones in our Homeland. One who works with the Patriarchs of our other Churches to look after the interests of all Assyrian (Chaldean/Syriac) people, and fights for our human rights in our Homeland. One who works with Assyrian organizations to build Assyrian schools and educational centers wherever Assyrians live, who visits our schools and organizations to bless Assyrian students and the people who work for the unity of our nation to create a better future for us. All of this has nothing to do with politics; it is his duty as a Christian. The previous Catholic Patriarch, Pope John Paul II, was the embodiment of this Christian spirit of activism. So let’s not kid ourselves. The kind of detachment that Mar Dinkha is engaged in does not even exist in the West, where Church and State remain separate. A better word to describe it would be apathy. This is the apathy of not performing your civic duty as a responsible citizen. Churches in this country strongly encourage their members to perform their moral and ethical duty to act as responsible citizens and vote. They are actively engaged in organizing registration drives for their parishioners and serve as polling centers during regional and national elections. In the last Iraqi elections, Mar Dinkha not only did not encourage his flock to act as responsible citizens to perform their moral and ethical duty by voting according to their conscience, he himself apparently did not even bother to vote. These are critical times in the life of our nation. Unfortunately Mar Dinkha is in retirement age. May be it is too much to ask him to rise up to the challenge to perform his duties as one of the spiritual leaders of our nation. As the vice-president of the Federation of the Assyrian Russian Organizations (LARUS) I ask all Assyrian organizations around the world, including social organizations, cultural centers, relief organizations, foundations, political parties and religious denomincations: Are you against our national unity? It would be like Assyrian national referendum. If no one is against unity then we [in Russia] will organize a congress for the Assyrian national unity. You can connect me by e-mail (click here). Please send this information to everybody to whome it may concern. Why are Chaldean Clergies Undermining the Future of Christians in Iraq? Whether members of the Chaldean Church consider the name of their church a religious designation or ethnic identity has profound consequences for the Christians of Iraq. All historical sources agree that the Chaldean Church was established in union with Rome in 1553, by John Sulaga, an Assyrian monk of the Rabban hormizd monastery north of Nineveh. But the denomination did not arrive in the region until mid 18th century. The name Chaldean was given to the new Church to distinguish it from the Church of the East, however its clergies and most of its members prefer to use it as ethnic term and claim they are related to the ancient Chaldeans who somehow ended up in Assyria. To support their contentions they make false historical claims which undermine the true history of the Assyrians, create needless animosities, and divide the christians of Iraq into insignificance. They wrongly interpret Assyrian to mean belonging to the Church of the East. Assyrian is a national iden tity which existed before Christianity and is not restricted to any religious denomination, it stands for a people of common descent, language, history, culture, well known historical homeland, and other aspects of nationality. The Chaldean Church unwillingness to work with other Christians of Iraq for a common cause, regardless of who goes to what Church, undermines efforts to chart a better future for all, and fruther contributes to their disintegration. Letters written by the bishops of that Church to the President of the United States and the Iraqi government proclaiming Chaldeans as not related to the Assyrians and demanding separate rights for them indicates they are primarily concerned with narrow benefits to their denomination. Even the 'ChaldoAssyrian' compound name was not acceptable to them judging by the last minute withdrawal of the 'Chaldean Congress' from the 204 unity slate during the Iraqi elections. Members of the Chaldean Church are the predominant inhabitants of the Assyrian towns and villages such as; Karmalish, Bakhdida, Algush, Bartella, Tel Keppe, Baqofa and others in the plain of Nineveh. Some of these places still bear their ancient Assyrian names and archaeological discoveries in their vicinity attest to their Assyrian origin. The Chaldean Church is also in control of the early churches and monasteries in the plain of Nineveh, therefore to claim that its followers are not Assyrians implies that the latter disappeared and the former who are not the indigenous people of the land took their place. Such false assertions serves neither the interest of the Chaldean Church nor the rest of the christians of Iraq. It was not until the mid 18th century that Latin missionaries were able to convert the Assyrian inhabitants of these towns and villages to Catholicism and they were redefined as Chaldeans because of their religious affiliation, even the Vatican records acknowledge these facts. Members of the Church of the East who refused to become Catholic were forced to flee into the mountains because Kurds and Turks were recruited to harass and persecute them to force them into Catholicism i.e., Chaldean church. 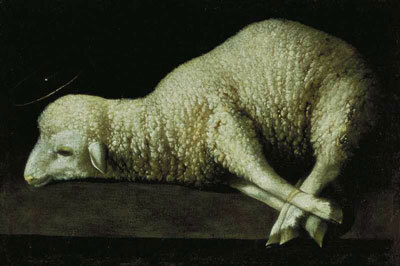 (click here) See the section titled, Catholicism in the Plain of Nineveh. Consequently by 1830 when Yohannan Hormizd the last patriarch of the Church of the East in the Plain of Nineveh officially declared his church in Union with the Rome he was redefined as the Patriarch of the Chaldean (Church.R. Rabban, " Chaldean Catholic Church (Eastern Catholic)" New Catholic Encyclopedia, The Catholic Unversity of America 2003 Vol. 3 p. 369) The Christian population of the Plain of Nineveh from then on were primarily members of that church and the Syrian orthodox Church, ethnically from Assyrian descent. When members of the Chaldean church contrary to historical facts claim they are the descendants of the ancient Chaldeans whose homeland is 500 to 600 miles to the south of Nineveh, the question comes to mind; "how and when they ended up in the Assyrian homeland, and what happened to the Assyrians who lived there before the arrival of the Catholicism in the region undoubtedly between (1750-1830)" since before then there were no Chaldeans or Chaldean Church in the region? Did the Chaldeans who supposedly migrated from the south massacred all the Assyrians and took over their towns and villages? Where are the documented historical evidences attesting to such action? This would have been a catastrophic even, at least for the Assyrians, which they would have remembered for a long time and would have recorded it in their history but such is not the case. Nor the chaldean Church can come up with any evidence to prove it. Members of that Church resent to be told by the Assyrians that their Chaldean identity is religious and not ethnic. Is it fare to expect Assyrians to join them in falsifying history to make them happy? By claiming they are the descendants of the ancient Chaldeans and not Assyrians leaders of that Church not only distort historical facts, at the Assyrian expense, also open the way for the Kurds to claim themselves as the indigenous inhabitants of the Plain of Nineveh. After all, if the Chaldean Church can subvert history, why not the Kurds. When Chaldean clergies preach to their followers to consider the marshes of southern Iraq as their homeland and not the Plain of Nineveh they inspire the Kurds to gladly agree. Such indoctrinations can only lead to Kurds owning everything but Christian nothing. "The Chaldeans living in Nineveh Plain would travel to Mosul and pass by Nineveh and Ashurbanipal palace; however, when you ask them what they are, they say that they are Chaldeans. Why, because they return to their origin, to their center that was Babylon and the last dynasty of Chaldeans. The Chaldeans do not have a center but Babylon, Iraq Baghdad." Aside from the fact that Baghdad has always been an Arab city and never part of Chaldea, bishop Jammo seems to be unaware of the consequences of what he is preaching. 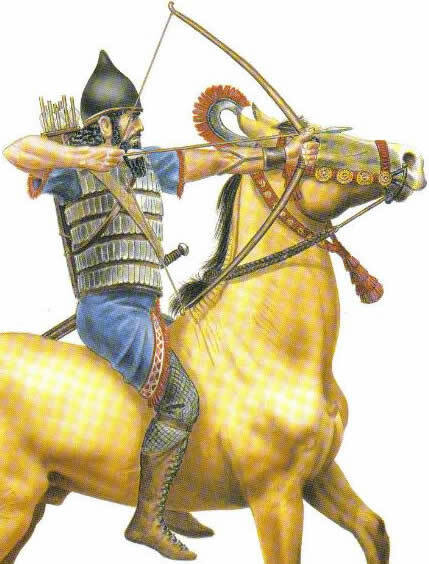 Christianity in southern Iraq aside from the Mandeans for all practical purposes disappeared by the end of the 14th century after the Tamur lang's massacres. Members of the Chaldean Church who presently live there arrived from the north during the last two centuries. In his desire to portray members of his church as not Assyrian Sarhad Jammo, the son of an Assyrian nationalist, wants his followers to look toward the imaginary Chaldean cities such as Baghdad as their homeland, where it would be easier for them to assimilate into the Arab culture and vanish. Christians in the Middle East have primarily survived in secluded homogeneous communities where they have been able to preserve their language, religion and way of life. Once thrown in the big cities they gradually assimilate in the greater population a nd cease to exist as unique people. If members of the Chaldean church look toward Baghdad as their historic homeland and to ancient Chaldeans as their forefathers there is little incentive for them to have a common cause with their Assyrian brethren who would like to be allowed an administrative center, or protective zone, in the plain of Nineveh where Christians of all denominations can manage their affairs. Without such protection enshrined in the Iraqi constitutions or laws it would be difficult to keep Kurds out of the Christian towns and villages north of Mosul. Kurds who are united despite serious tribal differences seem far more intelligent in planning a better future for their people than our clergies. Their preventing the christians in the north from voting during the last elections and introducing their own christian candidates instead of letting them elect their own were intended to bar our people from having a say in the writing of the Iraqi constitution. By discouraging members of the Chaldean Church from voting for the 204 slate the Chaldean clergies in reality helped the Kurds more than their own people. Their refusal of solidarity with the Assyrians makes planning and implementing any improvement in the life of the christians of Iraq impossible, instead their future is left to the mercy of the Kurds. This shows that clergies of that church can not understand the ways and tactics of the modern politics and the consequences of their meddling in none religious affairs. Since they are primarily concerned with the short sighted desire to claim the name of their church as the ethnic identity they seem to be willing to sacrifice their people's best interest and survival for such a goal. Only if they step aside and allow members of their church work unhindered and without prejudice with their Assyrian brethren there may still be some hope for the Christians of Iraq. 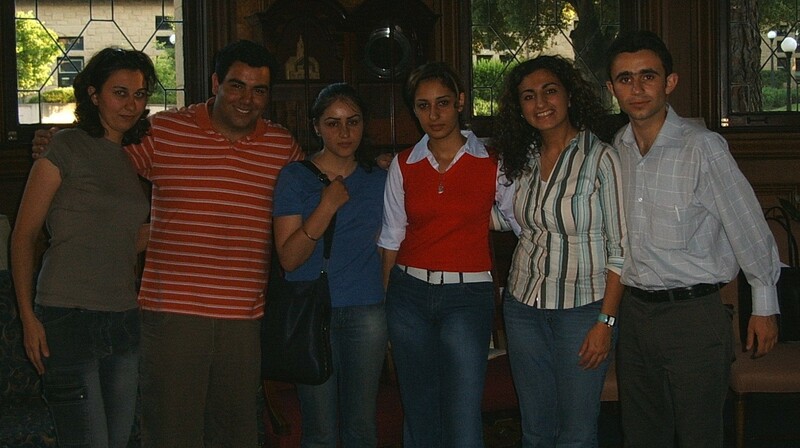 Sasan Sabah Hanna, a self-described ChaldoAssyrian, was one of four Iraqi university undergraduate students chosen to participate in the first Stanford-Iraq Student Exchange Program. Hanna - a second year civil engineering student in the College of Engineering at the University of Salahaddin in Arbil, Iraq - was one of five students chosen by a Stanford faculty/staff committee from a pool of approximately one hundred applicants. The Exchange, a student-initiated university-registered organization, is the first program of its kind in the country. The goals of the Exchange are to foster friendship, mutual understanding, and student-to-student diplomacy while allowing Iraqi students to experience American student life and culture. During their 10-day stay, the Iraqi students were hosted by Stanford students, attended classes, participated in small-group discussions with student organizations, engaged in interfaith dialogue, and met with Stanford faculty to discuss academic interests and graduate study plans. The students also worked with student hosts on a local community service project. The program itinerary also included trips to Sacramento to witness the legislature in action as well as San Francisco to visit cultural and historical sites. The program culminated on May 23rd with a public forum on improving Iraqi-American relations, which highlighted the Iraqi students' experiences and opinions. Please see the Stanford Daily article below covering this public forum. As an Assyrian Iraqi-American at Stanford, I was very excited to meet with the next generation of potential Iraqi leaders. The participation of a ChaldoAssyrian in this program reminds me that our people are among the best and the brightest in Iraq and gives me pride and endless hope that the new generation will continue to preserve our visibility and culture as responsible, educated citizens in the new Iraq. Left to right: Ala Jabbary, Omar Shakir (Stanford undergraduate student), Shayan Shahir, Shava Ibrahim, author Nahrain Kamber (Stanford graduate student), and Sasan Sabah Hanna. My oldest son Mark walked in the house one day asking “what is my Assyrian heritage?”, I gave him the same answer my father, Ben Yalda, gave me a few decades ago “Attoraya”. When he persisted that he knew he was Attoraya but from which tribe, I told him “if anyone insists on your origin tell them you are ‘Chicognaya’ because you were born and raised in Chicago”. After all that is where we all inherited our ancestral labels, which reflect the names of villages that most of us have not even heard of, let alone seen. An Assyrian cultural festival was held on 5 May in Stockholm, Sweden. For more photos from this event click here. For years I only knew myself as Attoraya, it wasn’t until I came to Chicago when I learned what my heritage is and that was not from my parents. But that did not change my views or how I felt about other Assyrians as it often does with many of my other Assyrians who are possessed with finding out what millat is this or that and they pass judgement immediately based on their findings. If we are to get anywhere this must stop today, otherwise the new generation will never forgive us for hanging on such inconsequential traditions. Kat Akhnan B’noora B’Qyada [while we burn in his fire]. And indeed, our enemies thrive on this divide among us as a nation, as they know what we are capable of if we ever became one. Let’s rid ourselves from these meaningless labels that serve no purpose whatsoever, except divide us. Let us live as one entity, one force, and one nation. John A. Brinkman, M.A., Ph.D., the Charles H. Swift Distinguished Service Professor of Mesopotamian History at the Oriental Institute, University of Chicago, will be presenting a lecture titled "The Fall of Assyria and the Aramaic Language" on Sunday, 12 June 2005 at 4:00 PM. The lecture will be held at the Assyrian National Council of Illinois office at 2450 W. Peterson., Chicago. Professor John A. Brinkman transliterating cuneiform inscription on back of Assyrian relief still encased in its temporary protective framing. Courtesy of the University of Chicago, Oriental Institute. More than a million people remain internally displaced in Iraq today, though figures are uncertain given the poor security in the country. The majority of internally displaced people (IDPs) were forcibly displaced under the previous regime, which targeted communities perceived to be in political opposition as well as using forcible displacement as one of its tactics to gain control of resource-rich areas. Prior to the United States-led invasion of Iraq in March 2003 that led to the toppling of Saddam Hussein’s regime, it is estimated that some 800,000 people were displaced in the north, mainly Kurds, but also Assyrians and Turkomen. In the south and centre, between 100,000 and 200,000 Marsh Arabs and at least 25,000 Arab Shi’ites were displaced. At present the largest new population displacements are the result of fighting between the US-led Coalition Forces and Iraqi insurgents, particularly in and around Fallujah and Najaf. The US Coalition Provisional Authority handed power and sovereignty to the Interim Iraqi government on 28 June 2004, yet the security situation across the country remains extremely unstable. A second cause of displacement has been the return of hundreds of thousands of Kurds who have begun reclaiming property and land confiscated from them by the former regime under its “Arabisation” policy, without proper arrangement for the Arab tenants who currently occupy them. The Iraqi Property Claims Commission was established in January 2004 to resolve property issues, but is not yet operational. Although most displacements due to fighting between Coalition Forces and the Iraqi resistance have been temporary, the Iraqi authorities, Coalition Forces, and combatants are responsible, as outlined in Guiding Principle 5, for taking measures to protect civilian populations to “prevent and avoid conditions that might lead to displacement of persons”. As Human Rights Watch underlines, a significant step towards preventing further displacement and establishing durable solutions for IDPs, is to address the needs, claims and rights of both Kurdish and Arab communities. Following the promulgation of the IPCC law, which governs the consideration and resolution of real property claims, the IPCC shall receive such claims in accordance to the legal provisions published in the Iraqi Official Gazette no. (39850) of July 2004. The IPCC process is open to all persons, or their heirs, who have been wrongfully deprived of real property (for example, land, house or an orchard) or an interest in real property (for example, the right to farm the land) because of actions taken by the former governments from July 17, 1968 to April 9, 2003. This process also covers many actions carried out by some officials of the previous governments. Claims may also be made by people who lost or will lose real property or an interest in real property between March 18, 2003 and June 30, 2005 as a result of their ethnicity, religion, or sect; or for purposes of ethnic cleansing, or due to the return of individuals who had been previously dispossessed of their property as a result of the former government’s policy of property confiscation. If you think that you have a claim under the circumstances described above, contact or visit the IPCC Bureau in the Governorate where you live for further information or to file a claim. The Iraqi Property Claims Commission (IPCC) has fixed June 30, 2005 as the deadline for claims to be filed. Please contact your local IPCC office or the IPCC Headquarters in Baghdad to learn whether the deadline has been extended. The recourse to the IPCC for filing a claim and its resolution does not require any payment from you. This service is given free of charge by the Iraqi Government under the motto: "Justice is the essence of rule of law". If the property you are currently living in is being claimed by someone else, the IPCC law clarifies your rights and requires you to file a response to the claim in order to protect those rights. If possible, the IPCC will contact persons who may have an interest in a real property that is the subject of a claim and give them assistance in responding to the claim. The IPCC will resolve all claims fairly, taking into account the IPCC Law and all parties’ arguments and evidence. The IPCC announces the reception of claims in accordance to the provisions of the law published in the Iraqi Official Gazette in July 2004 through its following bureaus in Iraq. You may also receive further information, assistance in filing a claim or a response at the IPCC bureaus. Appeal Office: Baghdad-Al Karkh-Al Rabie’ Str.- Hay Al A’del intersection, Area No. (643) Building No. (199) (Office of Al Karkh Executive Department). Baghdad-Al Karkh-Al Rabie’ Str.- Hay Al A’del intersection, Area No. (643) Building No. (199) (Office of Al Karkh Executive Department). Baghdad-Al Rusafa, Al Karada, Opposite to the National Theater, next to Qasar Al Shawaq Hotel, Area No. (903), Zuqaq No. (43) Building No. (15). Baghdad-Al Rusafa-Al Waziriya-Str. No. (33). Abi Talib Str. Opposite to Scientific Compound, Area No. (301), Building No. (15). a. Nainawah Office 1: Mosul City, Al Faysalia, Next to Administrative Corruption Office. b. Nainawah Office 2: Mosul City: Appeal Court Building. a. Tikrit office: Real State Registry Directorate behind the Governorate building, Ground floor. b. Touzkhourmatu Office: Touzkhourmatu, Behind the Primary Court, Next to Touzkhourmatu Police Station. c. Bellad Office: A Hussain Area, Al Qaim Maqamiya Str. Area No. 104) Str.No. (11) Building No. (5). Al Anbar Governorate: Main Str. The Al Anbar Court of Appeal building, Next to Civil Defense Building. Babil Governorate: Babil Office: Al Hilla, Al Khosrawiya Area, Next to Human Rights Association, Area No. (102) Zuqaq No. (5). Karbala Governorate: Kerbala Office, Building No. (276) 54 Abbasiya Building near the Governorate Building. Najaf Governorate: AL Najaf Office, Najjaf Center, Justice House. Al Muthanna Governorate: Al Muthana Office: Al Samawa city: Al Haydariya, Al Muthana Appeal Court. Thi Qar Governorate: Thi Qar Office: (Al Nassiriya city): Local Administration Building, next to Female Teachers Preparatory Institute, Area No. (101), Zuqaq No. (8). Erbil Governorate : Erbil Office: Erbil, 30 Km Str. Behind Mediya School for Girls. Sulaymania Governorate: Sulaymania Office, Al Muhandissin Area, Ararat str. Building No. (31) near Scientific Research Compound. b. Taza Office: Taza District, Al Shuhada Area, Al Ulya Neighborhood, 103 Str. 11, close to Taza Police Station. a. Ba’quba Office: City Center, Next to Diyala Agriculture Department. b. Khaniqeen Office: Khanaqeen, Al Talia’ Area, close to Khanaqeen city Directorate, Zuqaq no. 1, Building No. 123. Wassit Governorate : Wassit Office, Al Kut city, Al Hurra Str. Close to Al Kut Education Department. Missan Governorate: Missan Office: (Al Umara): Awasha Area, Al Kurnish Str. Building No. (101/537) Qadiriya, next to Environment Department and Al Majarawi Mosque. Qadissiya Governorate: Al Qaddissiya Office: Al Diwaniya city Center, Public Notary Building, 2nd floor. We are very pleased to inform you that the judicial committees of the IPCC serving in Baghdad and the Governorates have started to return the real properties confiscated by the former regime in accordance with the law. As I travel around this country speaking about my experience as an unembedded journalist in Iraq, calling for an end to the occupation, I am inevitably asked the same question: "If the U.S. military leaves Iraq, won't there be a civil war?" This, I think, is the wrong question. Since toppling Saddam Hussein in April 2003, the U.S. government has consistently pursued policies that pit Iraqis against each other. The way I examine the situation, the risk of civil war is one of the reasons to end the occupation. Look at the way America arranged Iraq politically. Rather than encouraging elections after the fall of Saddam, the Bush administration hired a North Carolina company called Research Triangle International (RTI) to appoint new political leaders for the country. For the princely fee of $427 million, RTI implemented a policy they called (and this is not a joke) "selections not elections." They would invite everyone in a particular community to attend a meeting. At the meeting, the company would pick the new government, making sure to reserve a specific number of seats to Iraqis from each of the country's major ethnic and religious groups – Sunni Arab, Shia Arab, Turkmen, Kurd, and Assyrian/Chaldean Christian. Under RTI, Iraqis were required to organize on the basis on their ethnic and religious background. Imagine if a similar plan were implemented in one of America's more diverse cities. Imagine if a foreign company came to San Francisco to pick a new government and said: "Okay, we need eight white heterosexuals, five gays, five Asians, three African-Americans, and three Latinos." People in San Francisco would have no choice but to organize on the basis of their race rather than ideology. Is it any wonder, then, that after this January's election Iraqis organized themselves on sectarian grounds? But America's culpability in a possible civil war goes beyond the way the Bush administration organized the political process. Throughout the occupation, the U.S. military has asked folks from different factions to fight each other. This creation of a factional fight may not be done purposefully by the American government, but it happens anyway. During the April 2004 siege of Fallujah, for example, half of the U.S.-trained Iraqi army deserted rather than fight. Most of the deserters were Arabs, while former Kurdish peshmerga from Iraq continued to fight. So Kurds were fighting Arabs in Iraq – all under American command. When the Iraqi police go on joint patrols with the U.S. military in Sunni neighborhoods in Baghdad, arresting residents and taking them to prison, the policemen usually come from Shi'ite sections of Baghdad. Those who join the police are usually poor Shia who need money and work. When they arrest Sunnis in another part of town, sectarian tensions grow and civil war becomes more likely. At some point, the Bush administration will have to face reality: by its very presence in Iraq, the U.S. exacerbates each of the disasters we seek to avoid. Zinda: Aaron Glantz is a reporter for Pacifica Radio in California. He has visited Iraq three times during the U.S. occupation. His work from Iraq has also been syndicated to newspapers around the world by Inter Press News Service. Before becoming an international reporter, Aaron served as California State Capitol reporter for Pacifica’s flag-ship station, KPFA in Berkeley, CA, where he won the California Journalism Award for radio in 2000. A native of San Francisco, he lives in Los Angeles. The Australian Broadcasting Corporation's Chairman Donald Macdonald recently gave an elegant speech at the National Press Club in Canberra about where the public broadcaster was heading. Afterwards, as he fielded questions, reporters once again honed in on the thorny issue of whether the second public broadcaster, Special Broadcasting Service (SBS), should exist. Macdonald refused to be drawn on whether SBS was just duplicating a role the ABC is already performing. It's a pity – we all know that SBS will soon broadcast the Ashes Test cricket from England, normally the preserve of the Nine Network, a large commercial entity. SBS prides itself on being the voice and face of multicultural Australia. But do we really need it? Another question is have Australia's ethnic communities already moved into the mainstream of Australian society? Just look at the non-Anglo-Celtic surnames in our parliaments, favourite sporting teams or on mainstream television! What is ironic about SBS is that it claims to serve multiculturalism. But that has to be questioned. Since its inception in 1980, SBS TV, then known as Channel 0-28, has had reporters and presenters from a wide variety of backgrounds, such as Greek, Italian, Croat, Serb, South American, Asian and so on. In 25 years there has not been one reporter or presenter from Australia's sizeable Turkish and Macedonian communities. This is a remarkable statistic. Members of the Turkish and Macedonian communities claim that SBS TV marginalises them because the broadcaster fears the influence of the politically savvy Greek lobby. All of these ethnic groups do not get along because of historic tensions that have no place in peaceful Australia. SBS by playing favourites rather than showing toughness is in fact keeping these tensions alive. Mark Boyd, SBS TV's News and Current Affairs Chief, says SBS doesn't discriminate nor does it have a quota system. But surely in 25 years, one Turk or a Macedonian would have broken through SBS's glass ceiling? In its coverage of the Iraq War, SBS's Dateline program, the current affairs flagship of the network, has never given much coverage to the Assyrians, who are Iraq's indigenous people and also happen to be Christian. We hear daily about the plight of the Sunni and Shiite Muslim Arabs and the non-Arab Kurds in the north. 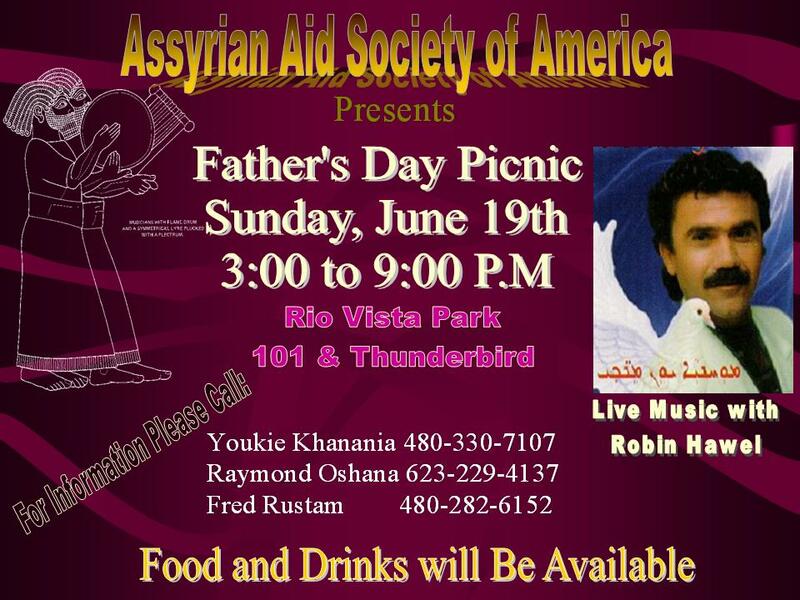 But the Assyrians remain a forgotten people in their own land. In 1990 popular SBS TV reporter Vladimir Lusic was removed from the current affairs program Vox Populi (Voice of the People) under mysterious circumstances. Lusic, who now lives in his native Croatia, told me a few years ago he was concerned about political interference at SBS from the then Communist Yugoslav government. Perhaps the time has come for some form of inquiry into the viability and diversity of SBS. Maybe the time has come for both the Coalition government and the ALP opposition to adopt a bipartisan policy on merging SBS with the ABC. After all, we are all Australians, regardless of our origins. Zinda: Sasha Uzunov is an Australian freelance photo-journalist who has covered the Balkans region of Europe for over a decade. ZINDA Magazine is published every Wednesday and Saturday. Views expressed in ZINDA do not necessarily represent those of the ZINDA editors, or any of our associated staff. This publication reserves the right, at its sole discretion, not to publish comments or articles previously printed in or submitted to other journals. ZINDA reserves the right to publish and republish your submission in any form or medium. All letters and messages require the name(s) of sender and/or author. All messages published in the SURFS UP! section must be in 500 words or less and bear the name of the author(s). Distribution of material featured in ZINDA is not restricted, but permission from ZINDA is required. This service is meant for the exchange of information, analyses and news. Any material published in Zinda Magazine will not be removed later at the request of the sender. For free subscription to Zinda Magazine, send e-mail with your name, address, telephone number to: zcrew@zindamagazine.com.